We can look confidentially (with an NDA in place) at your initial concept information or detailed specifications, and estimate the cost for design, prototyping and estimate a cost per unit before you take next step. State Automation will work with clients until all agreed design requirements are met, and the product performs exactly to the customers’ expectations. From smooth LED control for HD video application to Variable Sinewave or Advanced Phase control technology we can embed or integrate our technology seamlessly giving you a reliable application ready product. 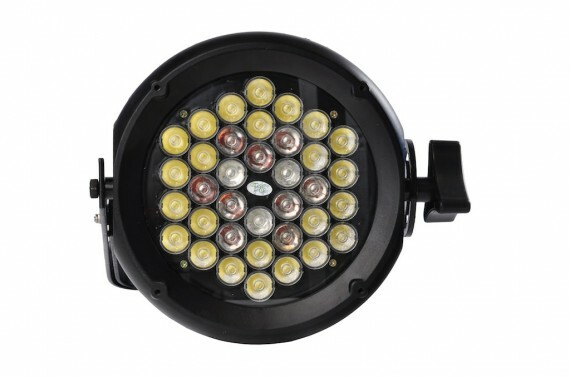 xFocus innovative lighting products (Canada) use State Automation’s AirLED smooth dimming technology for LED. This is their PAR 36 White White LED spot fixture with colour correction and integrated AirLED smooth dimming technology 100% to black over DMX.